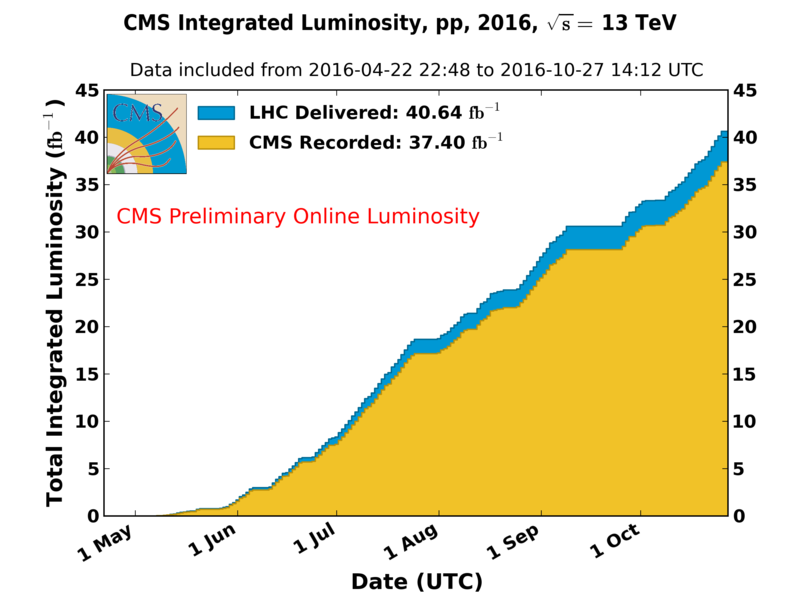 On December 15, at the End-of-the-Year seminar, the CMS and ATLAS experiments from CERN presented their first results using the brand new data accumulated in 2015 since the restart of the Large Hadron Collider (LHC) at 13 TeV, the highest operating energy so far. 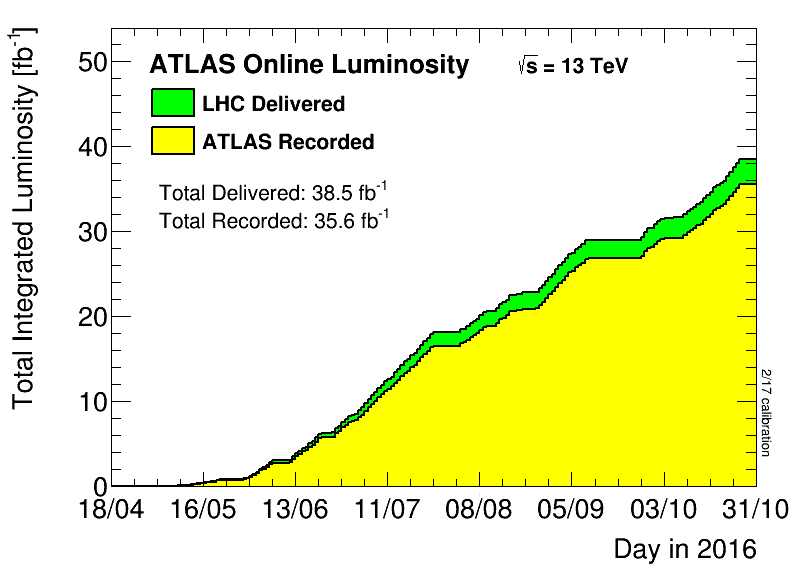 Although the data sample is still only one tenth of what was available at lower energy (namely 4 fb-1 for ATLAS and 2.8-1 fb for CMS collected at 13 TeV compared to 25 fb-1 at 8 TeV for each experiment), it has put hypothetical massive particles within reach. If the LHC were a ladder and particles, boxes hidden on shelves, operating the LHC at higher energy is like having a longer ladder giving us access to higher shelves, a place never checked before. ATLAS and CMS just had their first glimpse at it. 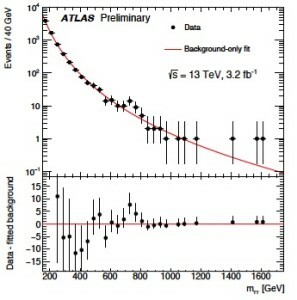 Both CMS and ATLAS found small excesses when selecting events containing two photons. In several events, the two photons seem to come from the decay of a particle having a mass around 750 GeV, that is, 750 times heavier than a proton or 6 times the mass of a Higgs boson. Since the two experiments looked at dozens of different combinations, checking dozens of mass values for each combination, such small statistical fluctuations are always expected. Theorists show less restrain. For decades, they have known that the Standard Model, the current theoretical model of particle physics, is flawed and have been looking for a clue from experimental data to go further. Many of them have been hard at work all night and eight new papers appeared this morning, proposing different explanations on which new particle could be there, if something ever proves to be there. Some think it could be a particle related to Dark Matter, others think it could be another type of Higgs boson predicted by Supersymmetry or even signs of extra dimensions. Others offer that it could only come from a second and heavier particle. All suggest something beyond the Standard Model. THIS QUANTUM DIARIES POST IS PRESENTED IN ITS ENTIRETY BECAUSE OF ITS IMPORTANCE. “After 18 years spent building the experiment and nearly two years taking data from the International Space Station, the Alpha Magnetic Spectrometer or AMS-02 collaboration showed its first results on Wednesday to a packed audience at CERN. But Prof. Sam Ting, one of the 1976 Nobel laureates and spokesperson of the experiment, only revealed part of the positron energy spectrum measured so far by AMS-02. Positrons are the antimatter of electrons. Given we live in a world where matter dominates, it is not easy to explain where this excess of positrons comes from. There are currently two popular hypotheses: either the positrons come from pulsars or they originate from the annihilation of dark matter particles into a pair of electron and positron. To tell these two hypotheses apart, one needs to see exactly what happens at the high-energy end of the spectrum. 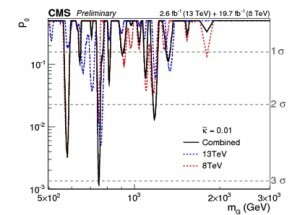 But this is where fewer positrons are found, making it extremely difficult to achieve the needed precision. Yesterday, we learned that AMS-02 might indeed be able to reach the needed accuracy. 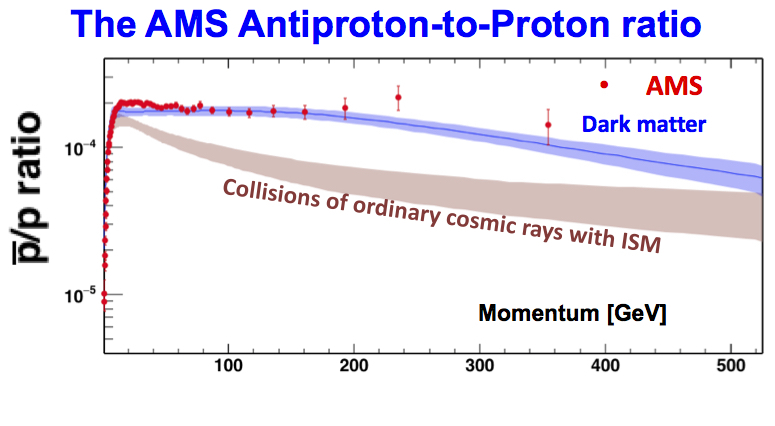 The fraction of positrons (measured with respect to the sum of electrons and positrons) captured by AMS-02 as a function of their energy is shown in red. The vertical bars indicate the size of the uncertainty. 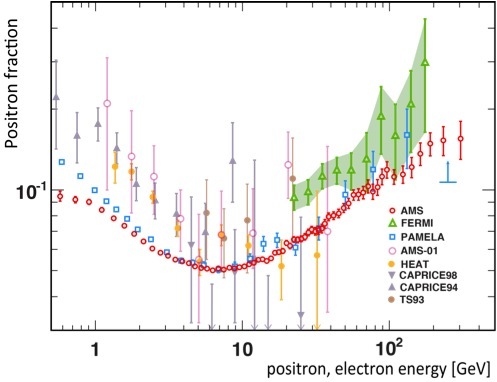 The most important part of this spectrum is the high-energy part (above 100 GeV or 102) where the results of two previous experiments are also shown: Fermi in green and PAMELA in blue. Note that the AMS-02 precision exceeds the one obtained by the other experiments. The spectrum also extends to higher energy. The big question now is to see if the red curve will drop sharply at higher energy or not. More data is needed before the AMS-02 can get a definitive answer. Only the first part of the story was revealed yesterday. The data shown clearly demonstrated the power of AMS-02. 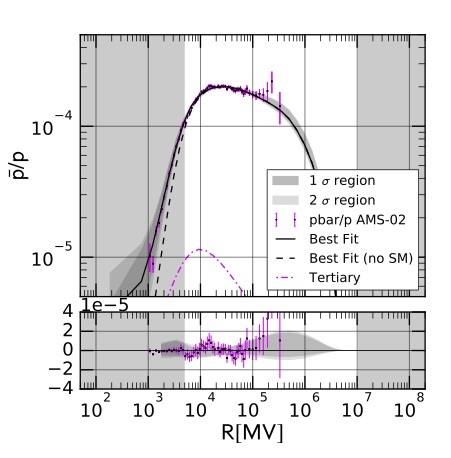 That was the excellent news delivered at the seminar: AMS-02 will be able to measure the energy spectrum accurately enough to eventually be able to tell where the positrons come from. But the second part of the story, the punch line everyone was waiting for, will only be delivered at a later time. The data at very high energy will reveal if the observed excess in positrons comes from dark matter annihilation or from “simple” pulsars. How long will it take before the world gets this crucial answer from AMS-02? Prof. Ting would not tell. No matter how long, the whole scientific community will be waiting with great anticipation until the collaboration is confident their measurement is precise enough. And then we will know. 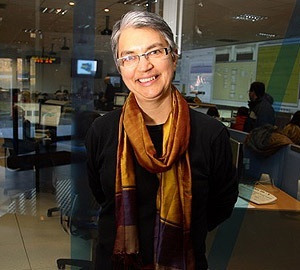 From Pauline Gagnon at Quantum Diaries: "What’s coming up at CERN in 2013?" “The Year of the Dragon (2012) came with a roar: a wonderful discovery and a greater understanding of how matter works. 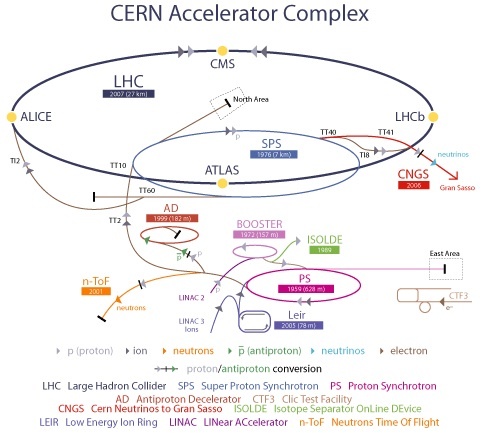 What might 2013, the Year of the Serpent, have in store for CERN? The serpent could very well represent the long and winding road of the many new upgrades ahead. On Monday 11 February at 6 am Geneva time, the Large Hadron Collider (LHC) will stop producing collisions, marking the start of a major overhaul for all accelerators at CERN. This will be the first in a series of three long-shutdowns to allow a complete refurbishing of the main accelerator, the LHC. The goal is to be able to increase its energy from the actual 8 TeV to 13 or even 14 TeV. This means an increased reach for new particles. This is not just to play a game of ‘my particle is bigger than yours’, but rather an attempt at finding the passageway to new theories. Since energy (E) and mass (m) are two forms of the same essence, as stated by the famous equation E = mc2, where c2 acts as a conversion factor between the two, increasing the accelerator energy will give us the possibility to create particles more massive than we have ever been able to produce before. It will also enhance the production rate of known particles – like the newly discovered boson – to better study them. “Gluinos and Higgsinos are some of the many undiscovered particles we may find at the Large Hadron Collider (LHC) if a theory called supersymmetry, also known as SUSY, turns out to be true. This theory is built on the Standard Model, the current theoretical model of particle physics. The Standard Model relies on the Higgs boson to hold true. But even with this boson, physicists know that this model cannot be the final answer as it has a few shortcomings. For example, it fails to provide an explanation for dark matter or why the masses of fundamental particles such as electrons and muons are so different. This theory of supersymmetry is one of the most popular and most promising ways to extend the Standard Model, but it has yet to manifest itself. SUSY is very popular since it brings lots of harmony in the world of sub-atomic particles. 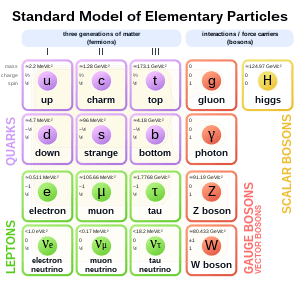 In the Standard Model, there are two types of particles: fermions and bosons. The fermions include quarks and leptons and are the building blocks of matter. These particles have “spin” values of ½. The force carriers are bosons, the other family of particles. They have integer values of spin, that is, 0 or 1. And, now, it gets interesting. Dr Gagnon is a great communicator. Please read the full post here.